Dr. Jon King joined King Dental Group in 2008. 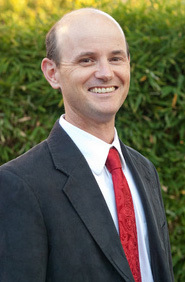 Dr. Jon was born and raised in Santa Barbara and graduated from Dos Pueblos High School and the University of California, Santa Barbara. After graduation from UCSB, Dr. Jon attended and was graduated from the University of Nebraska, College of Dentistry, where he served as class president during his junior and senior years. After dental school, he practiced dentistry for eight years in the U.S. Air Force including stations at Offutt AFB, NE; Eielson AFB, AK; and Nellis AFB, NV. While at Nellis, Dr. Jon served as Chief of General Dentistry directing a team of seven dentists and eight assistants. At Eielson AFB he served as the President of the Company Grade Officers Committee directing 25 Company Grade Officers in multiple community service projects. Jon served as the Preventive Dentistry Officer while in the Air Force and authored several articles for the local base paper. Dr. Jon is a Santa Barbara dentist committed to dental health for patients and has amassed over 300 hours of post-graduate dental education. He is a member of the Academy of General Dentistry and is currently completing Fellowship with the Academy. He is also a member of the American Dental Association, the California Dental Association, and the Santa Barbara-Ventura County Dental Society. Jon is also completing the course work for Bioesthetic Dentistry offered by OBI Foundation for Bioesthetic Dentistry. Dr. Jon resides in Santa Barbara, CA with his wife Kristin, our Marketing Director, and his three children. To schedule a meeting with Dr. King, whether it’s for cosmetic dental work, TMJ treatment, or you’re just looking for a family dentist, call his Santa Barbara office today!